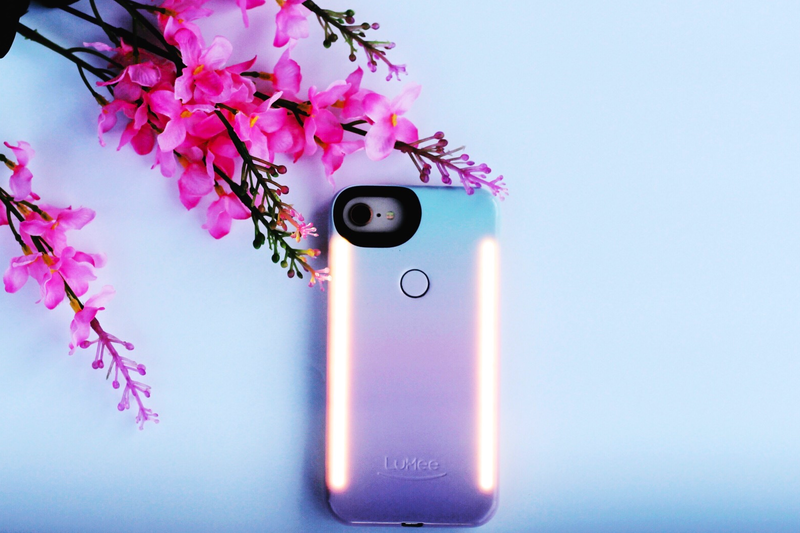 A Summer Must Have: The Light Up Phone Case! 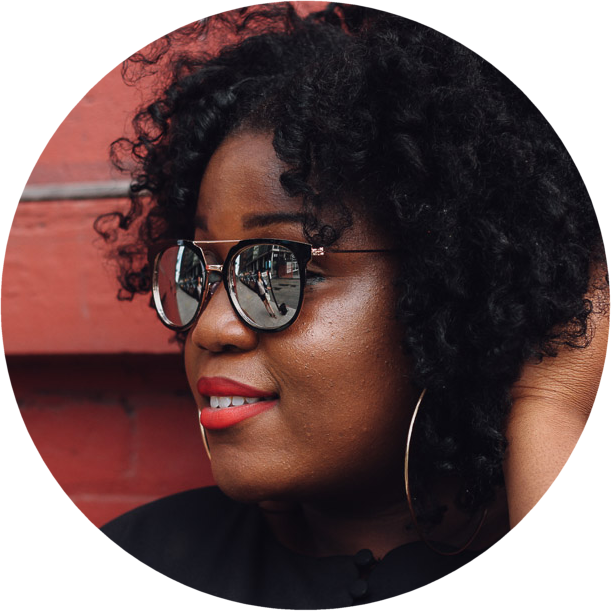 This blog post is in collaboration with Nakturnal. The opinions and ideas expressed here are my own. We are days away from summer. If you are like me, I always carry my bulky DSLR camera around to capture many images for my blog and social media. I love my camera, but it could be such a hassle. I do love my iPhone 8, but it isn't quite as nice as my DSLR camera. However, now that I was gifted with the LuMee case, I don't have to worry about carrying my bulky camera around everywhere. I can just grab my phone now and create amazing images. The LuMee light up case that I selected was the Cascade case. According to the website, "this case features studio-quality, warm, natural light that casts a warm glow on your front-facing and back-facing photos, so you can capture all of the important moments". My phone model is the iPhone 8, but LuMee supports many other smartphones, which is great! 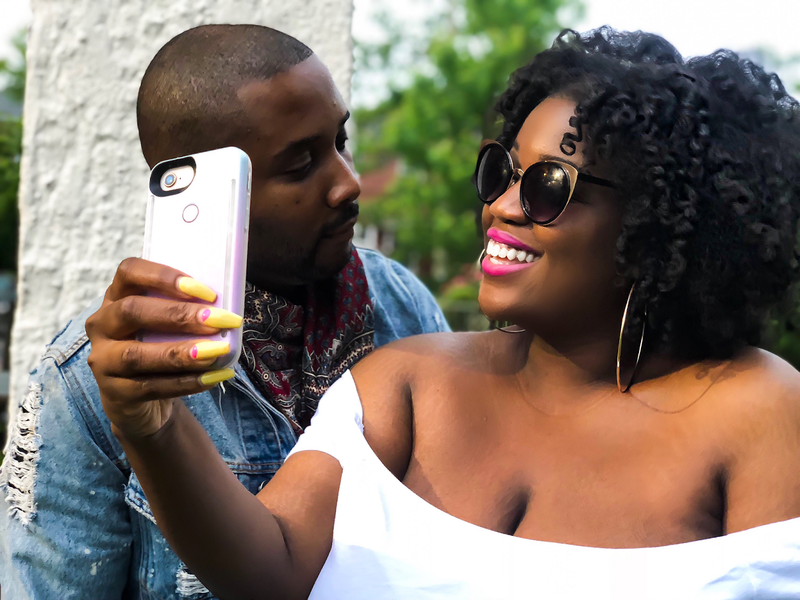 My boyfriend and I were obsessing with this LuMee light up case. We loved pressing the little button in the back that lit up the case. We then shamelessly captured about 1,000 selfies, we were indeed obsessed lol. I will definitely be using this case a lot more when traveling this summer. I can't wait! 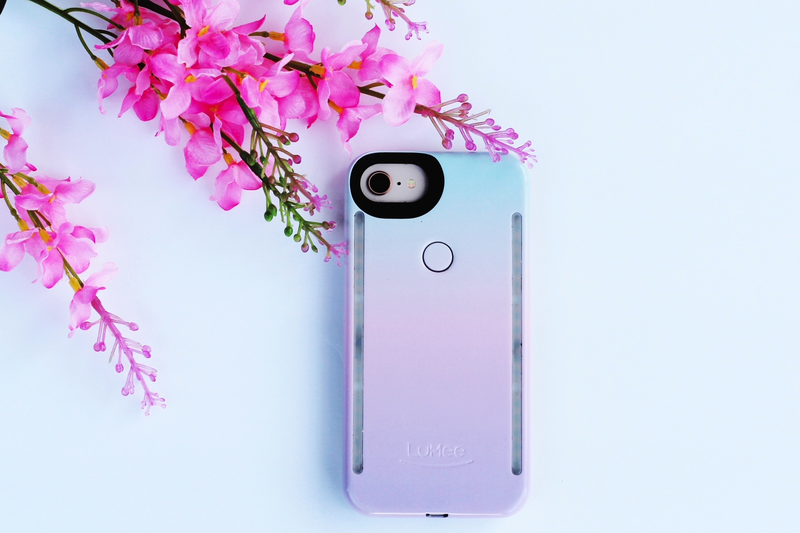 I am hosting a fun giveaway today on instagram where you can win any LuMee case of your choice! Please head there today for all the details! Omg, y’all are adorable! I love that ombré Lumee case, I have a DSLR that I take everywhere but I might just have to invest in a Lumee for the summer! Wow wow! This is amazing!! Thank you for sharing! Gotta find this case. wow this case looks awesome! i've been trying to find a phone case that has good lighting for selfies, guess this is it! That LuMee case would do wonders for my selfie game! Also love your nails, I wish I could pull off yellow! the case looks super good just as a regular case, its not too bulky but being able to take perfect selfies is such a plus! I love this case! It's so great to have really nice soft light wherever I go, since I take my phone everywhere I ever go haha. Super cool case! Really glad the light panels don't seem to get in the way of the stylishness of the case, I'll have to go get one! That little button on the back of that iPhone case is so cute, I'd be pushing it all day too! Definitely gonna try the LuMee out, I could use some perfect selfies on my profiles.